Another great Whisky Chicks event in the books. 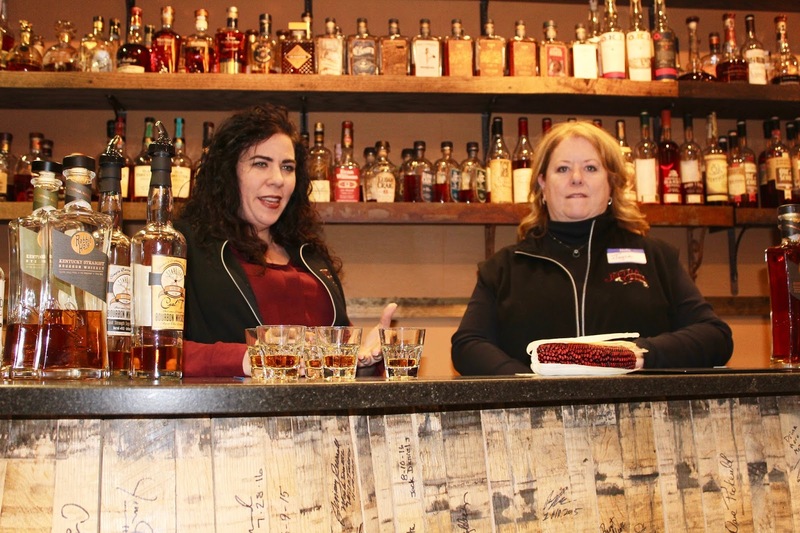 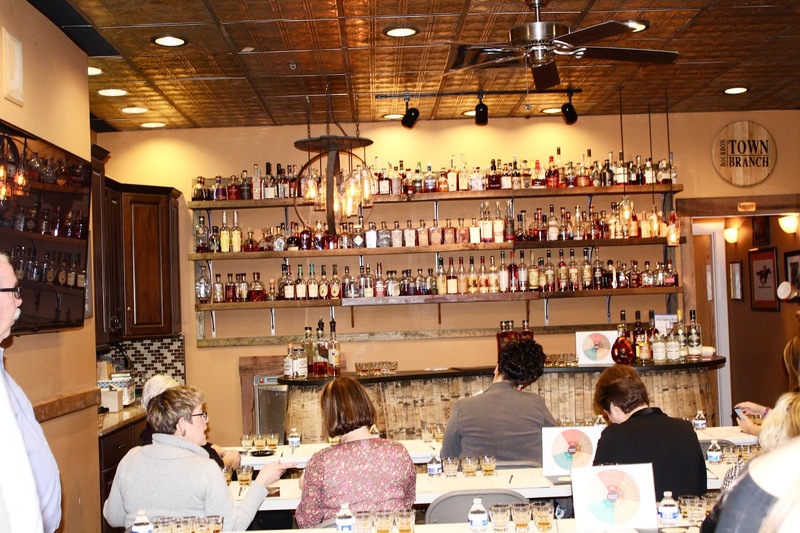 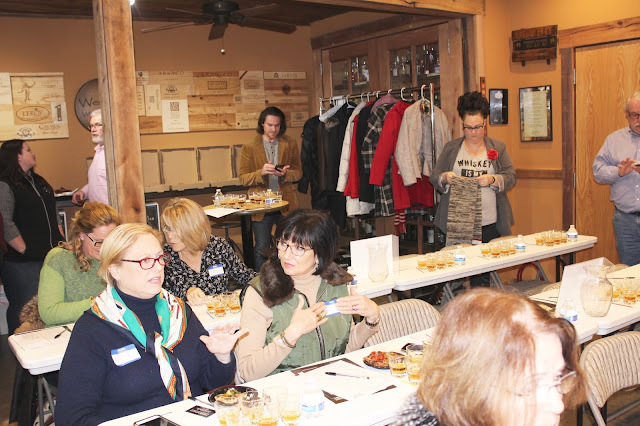 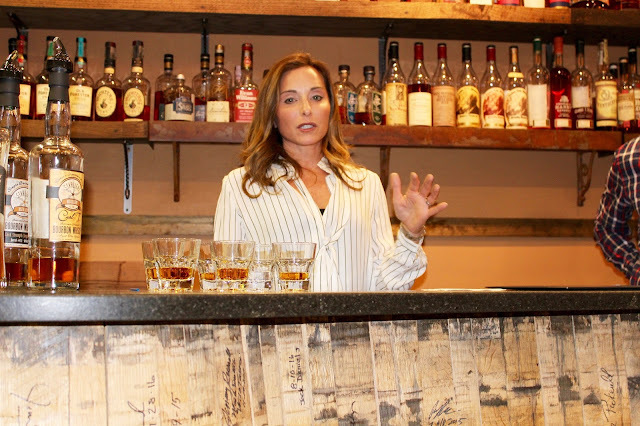 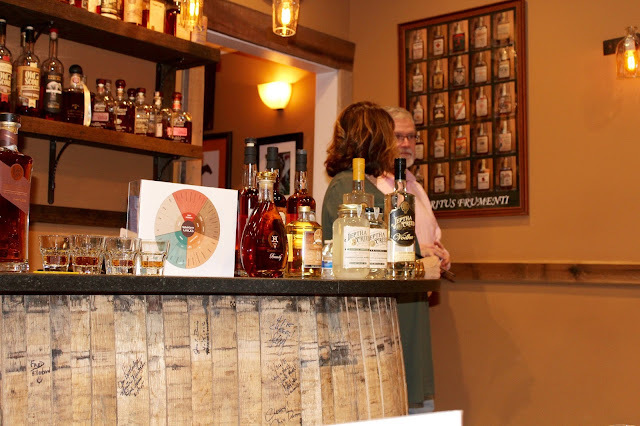 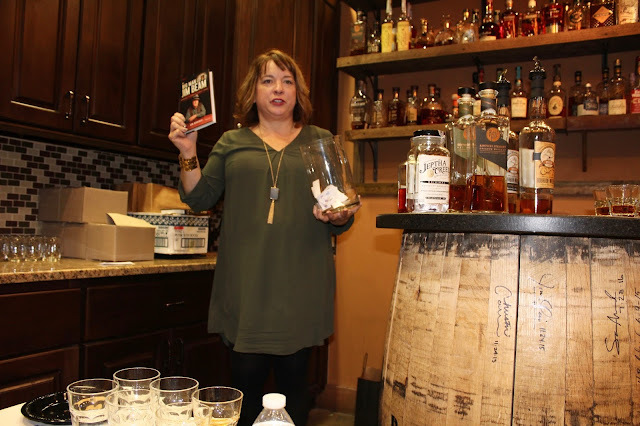 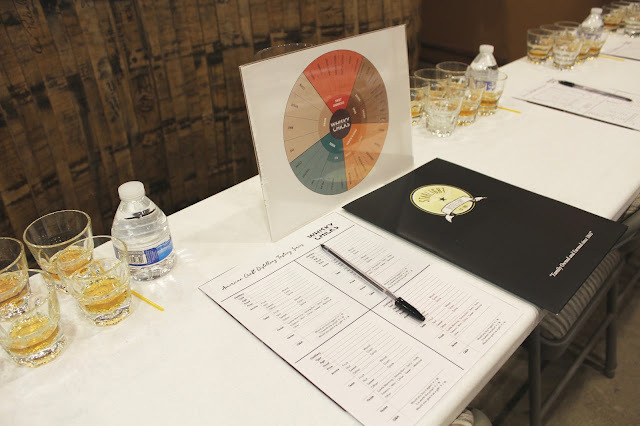 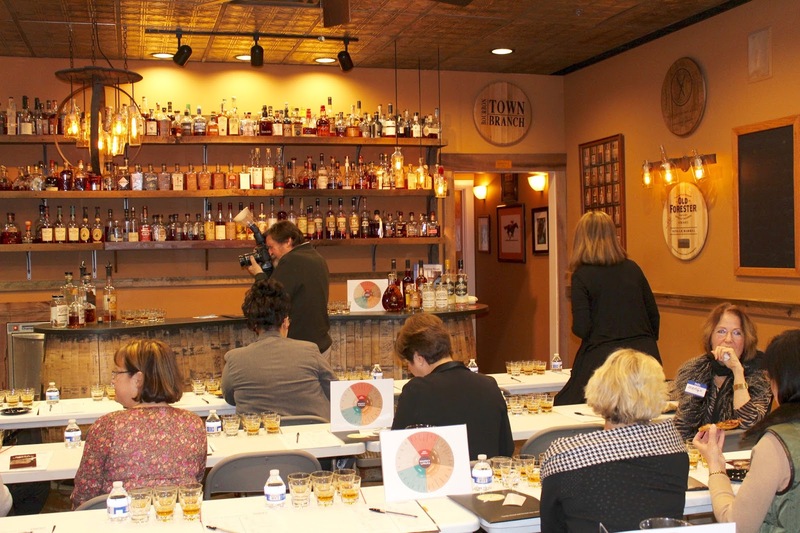 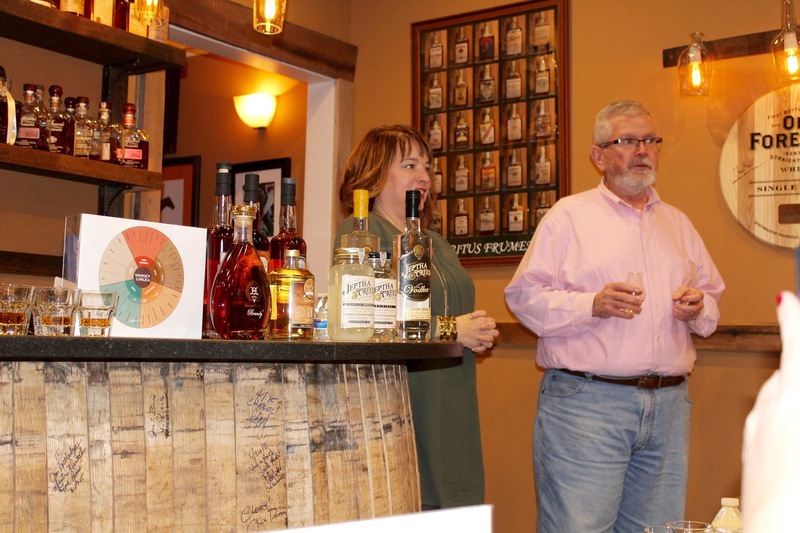 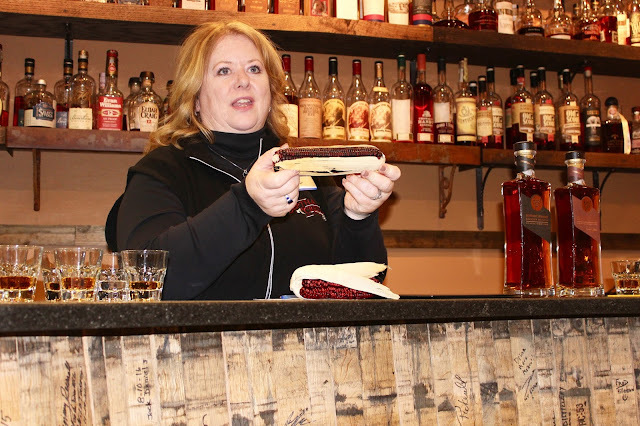 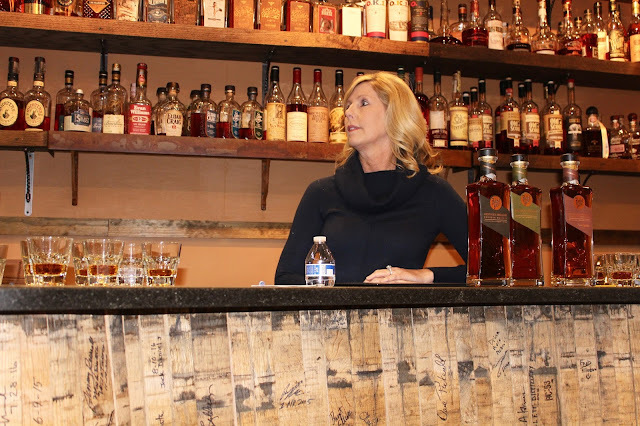 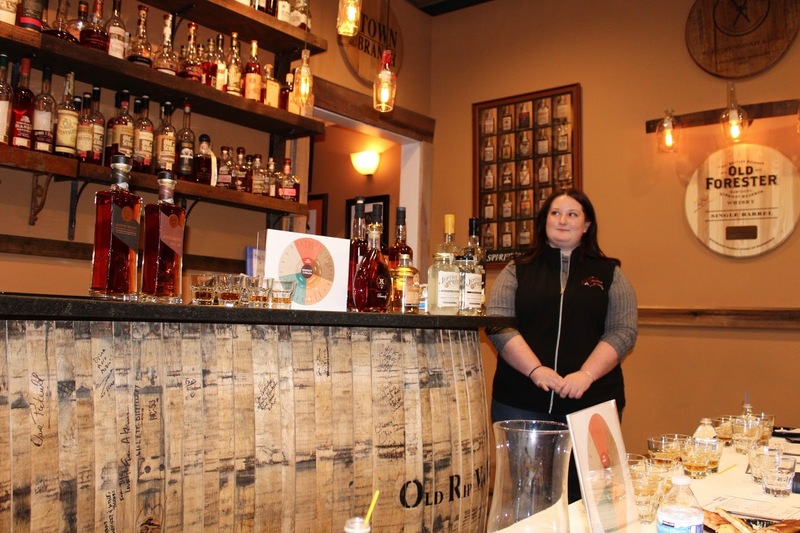 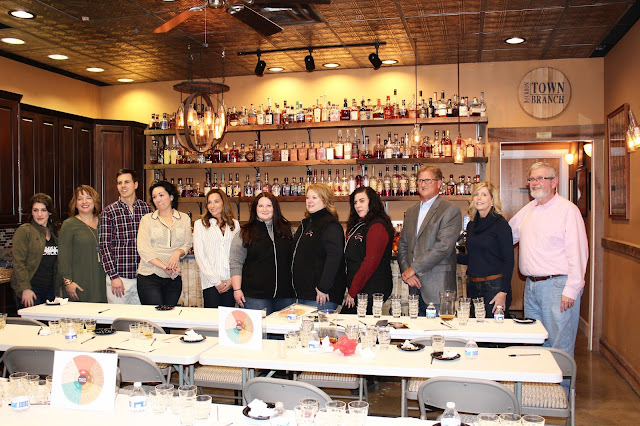 The American Crafting Distilling Tasting Series Part 1 hosted by the Whisky Chicks at Westport Whiskey & Wine was one to brag about. 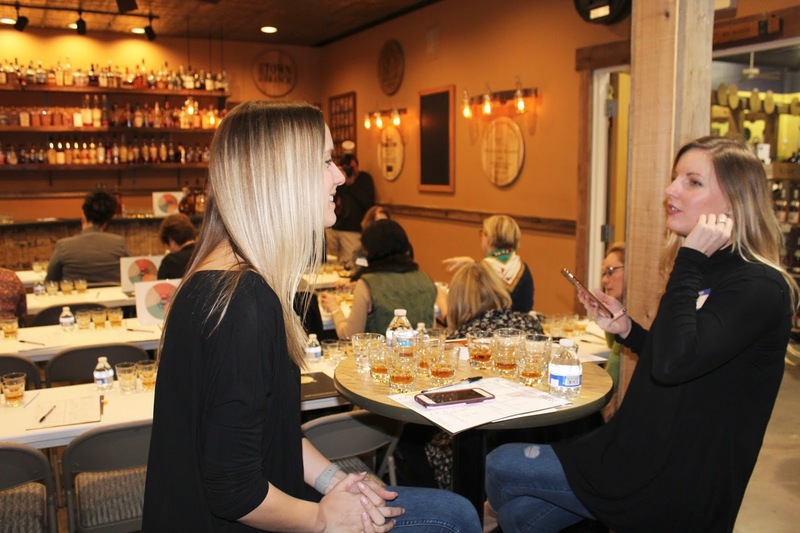 The Whisky Chicks provide settings for the whiskey lover to experience high quality bourbon whiskey with atmosphere and education. 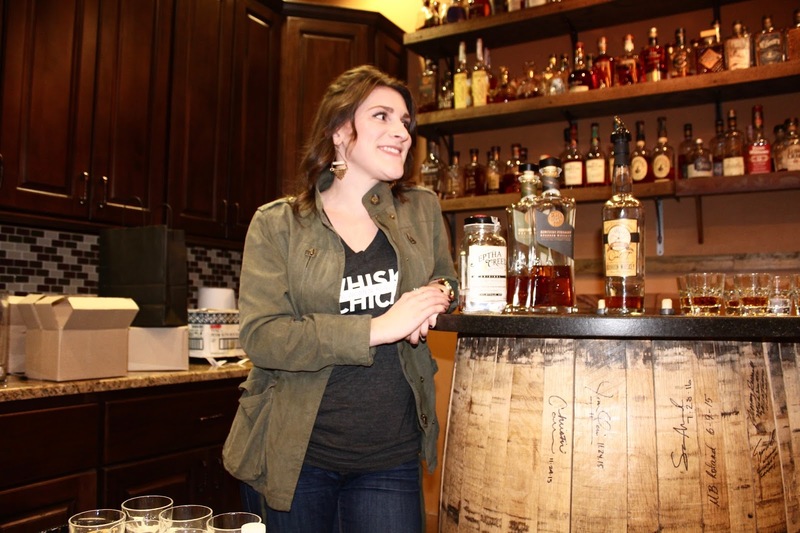 If you haven't heard of the Whisky Chicks by now then let me give you a little background. They are a group of ladies of all ages (21+), who embrace the unique tastes of a good bottle of bourbon. They pride themselves on being libation liberators; meaning they help women and even men appreciate and love a good whiskey cocktail. 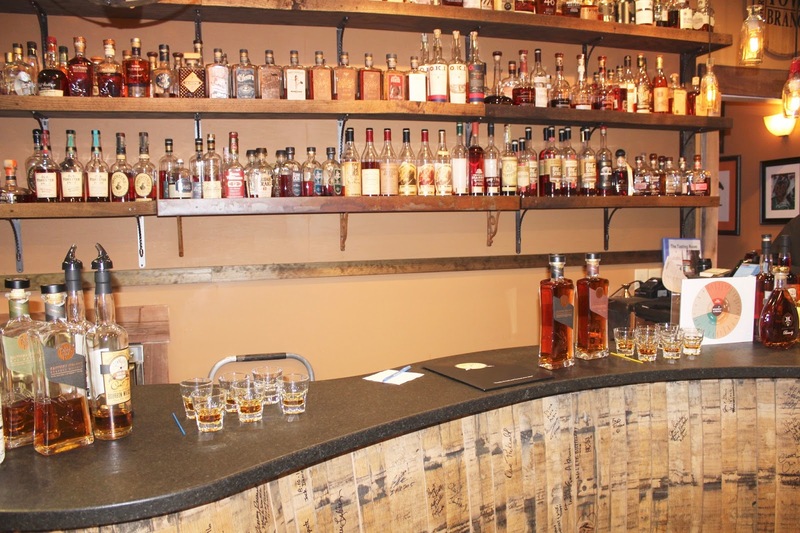 They do all this as well as provide a venue with each event that draws people in, in its self. Westport Whiskey & Wine was the venue for this event. 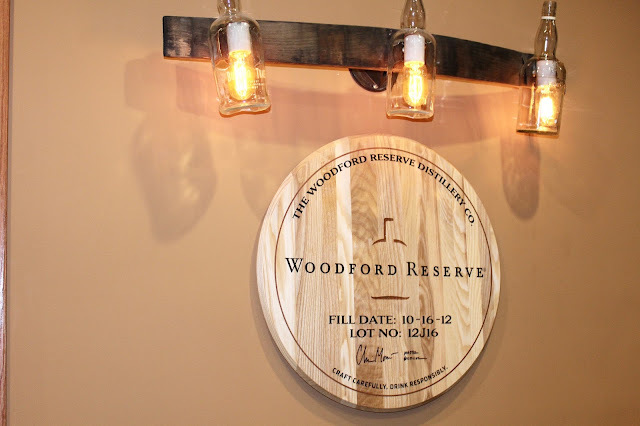 Their tasting room, which you can see in the pictures below, is spectacular. 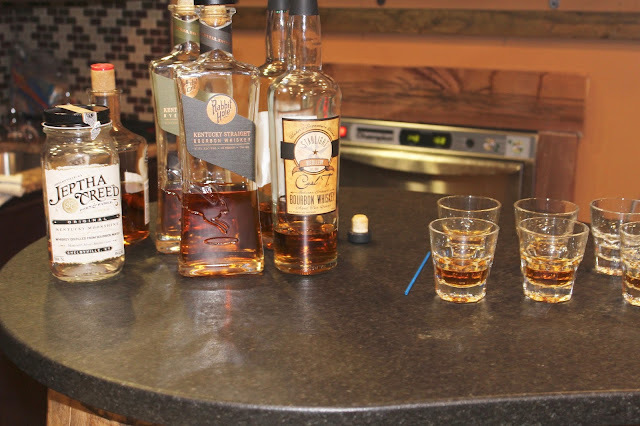 I am sure that any whiskey drinker would agree. 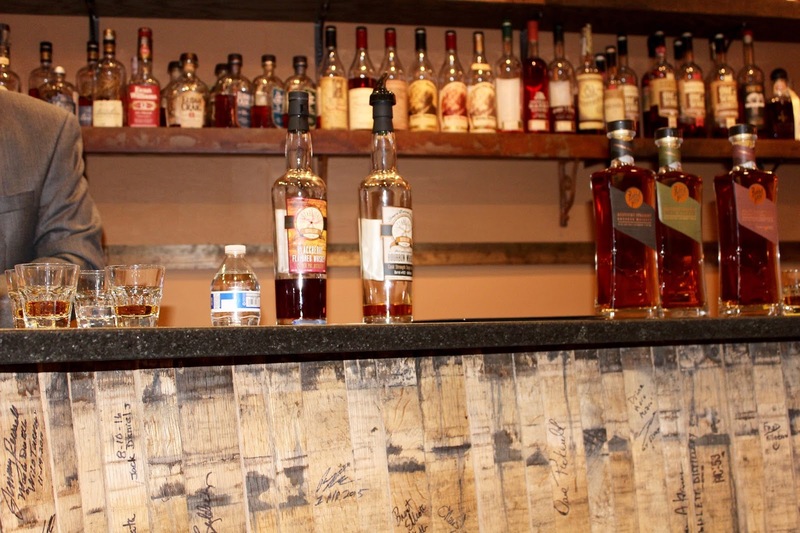 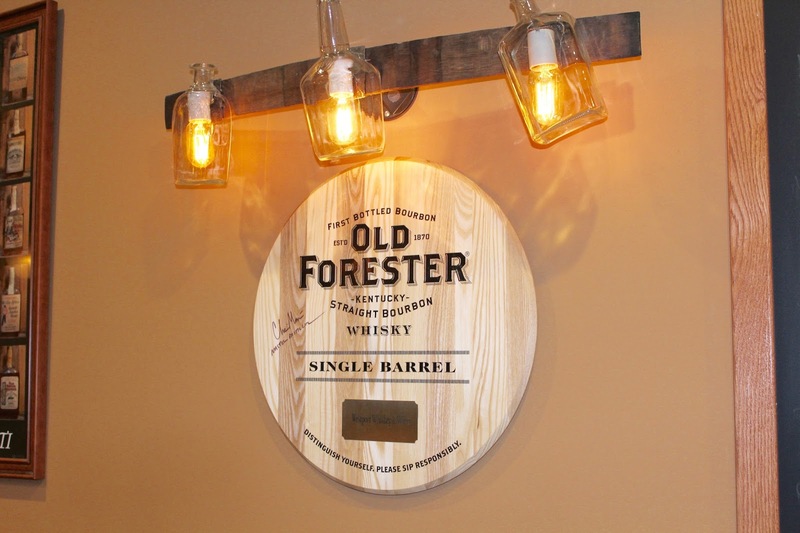 The shop prides itself on having hard to fine whiskey, wine, beer and spirits. 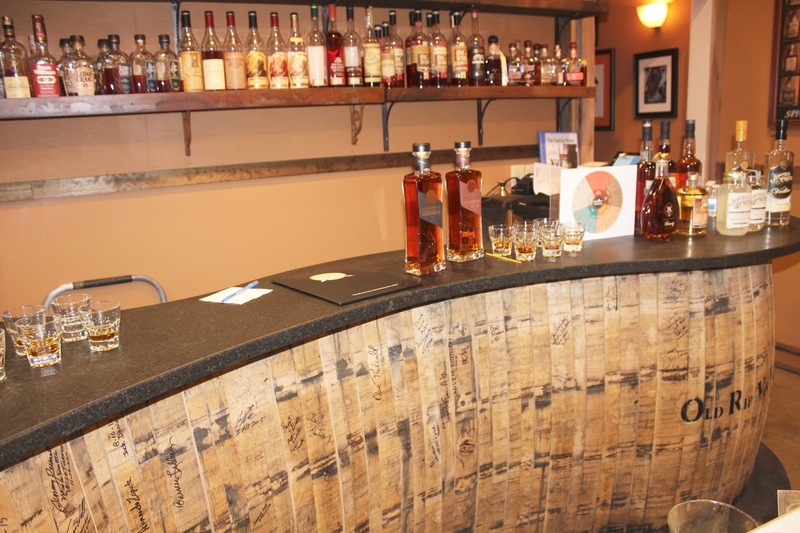 If you are in the Louisville area I would suggest you check it out. 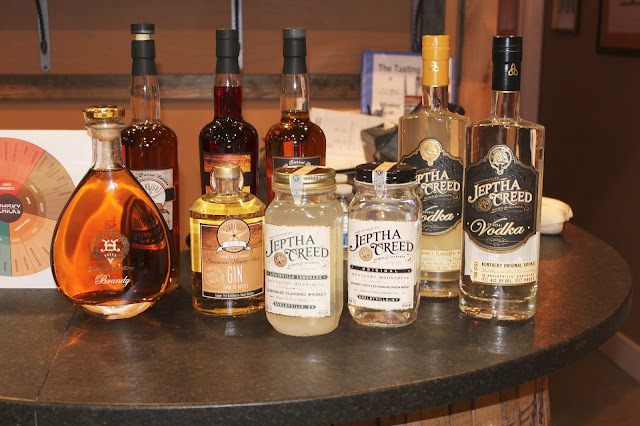 Jeptha Creed with their Original Moonshine and Bloody Butcher's Creed. 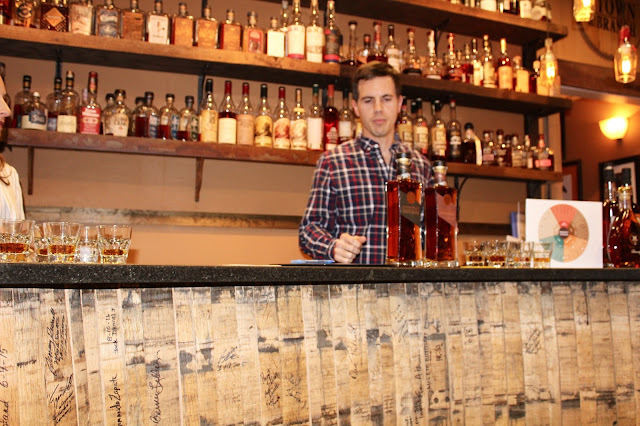 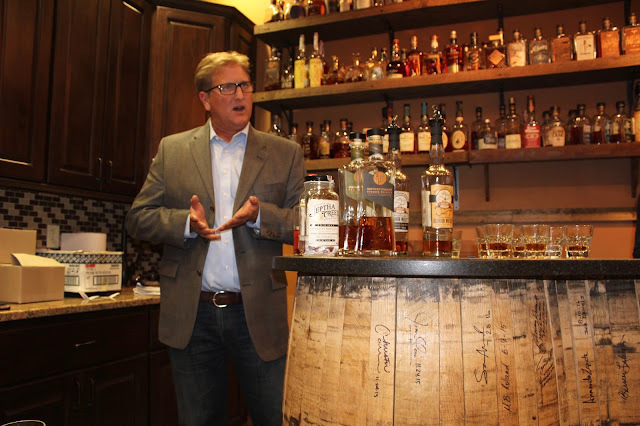 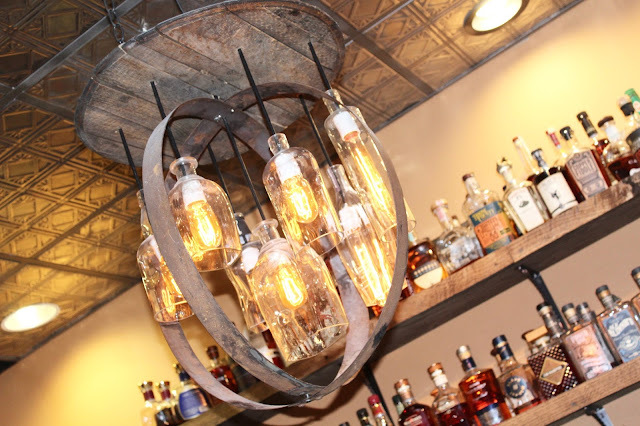 Jeptha Creed is a new family owned distillery in Shelbyville, KY that offers bourbon, moonshine and vodka. 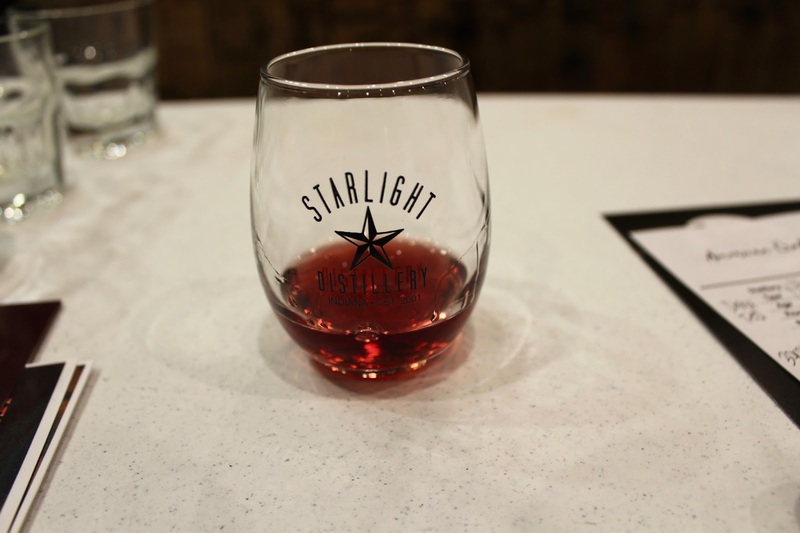 Their moonshine is a four-grain barley mash with a hint of sweetness, cayenne pepper and almond. If you like that spicy sweet taste this one is for you. 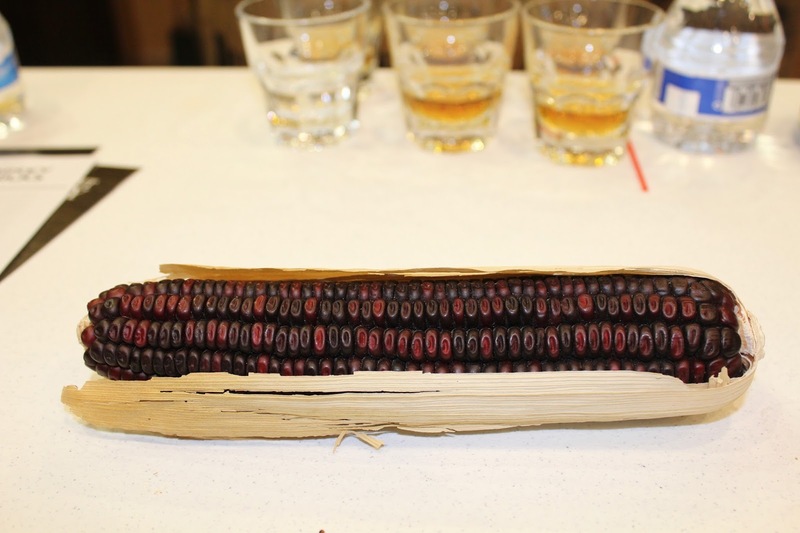 The Bloody Butcher's Creed is 75% Bloody Butcher Corn / 10% Rye / 10% Wheat / 5% Malted Barley with a taste of rich tobacco pallets and baked spices that finish with warm maple syrup and peppermint. 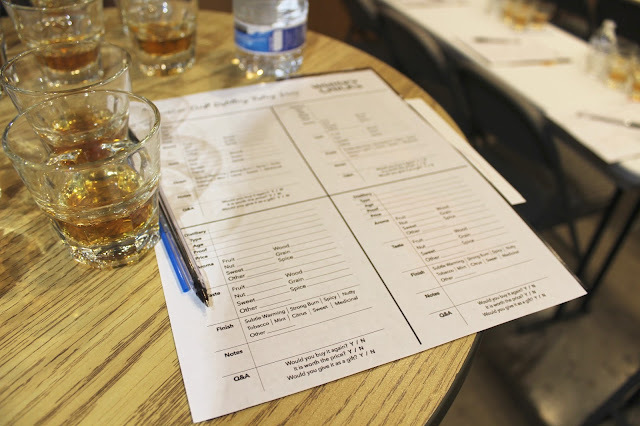 10% Malted Barley, which makes it great for sipping. 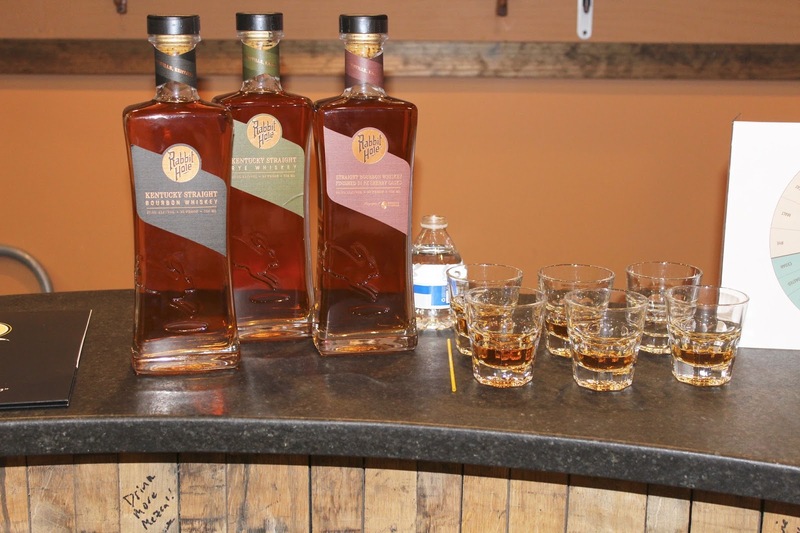 It has a taste of fruits and grains as well as vanilla, honey and almond. Their Rye Whiskey is 95% Rye and 5% Malted Barley with apricot and figs and finishes of spicy fennel. Starlight bought tastings of their Bourbon Whiskey and their Carl T. Bourbon Whiskey. Starlight Distillery is located in Starlight Indiana with the Huber's Family Farm and Winery. Their Carl T's Bourbon Whiskey is comprised of 58% corn, 27% rye, and 15% malted barley and is 95 proof , compared to their Bourbon Whiskey which is cask strength, unfiltered and 115 proof. 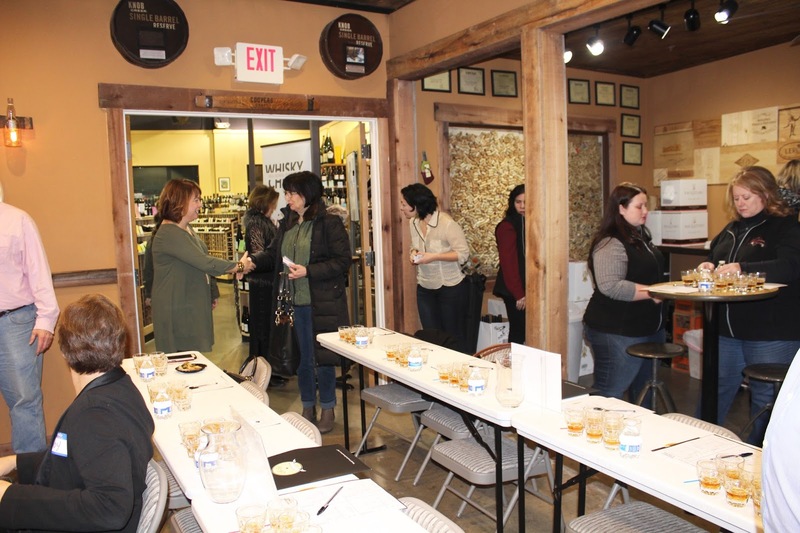 Like all their events this one was super successful, and through talking to many of the ladies that attended they agree. 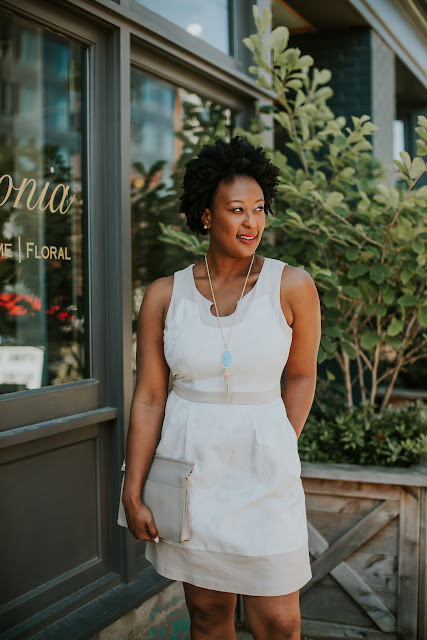 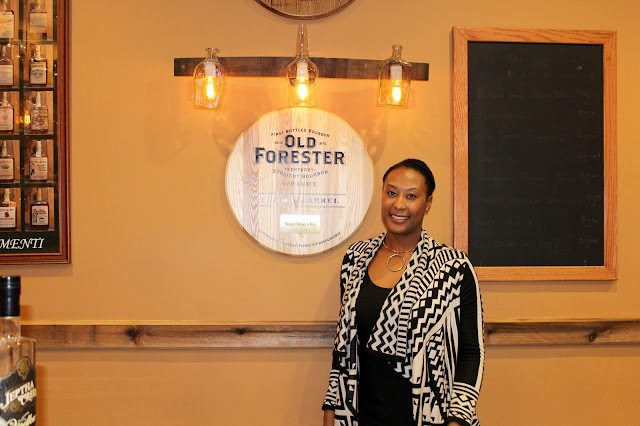 The Whisky Chicks have truly crafted a great organization that allows women to meet others with similar interest as well as embrace differences. 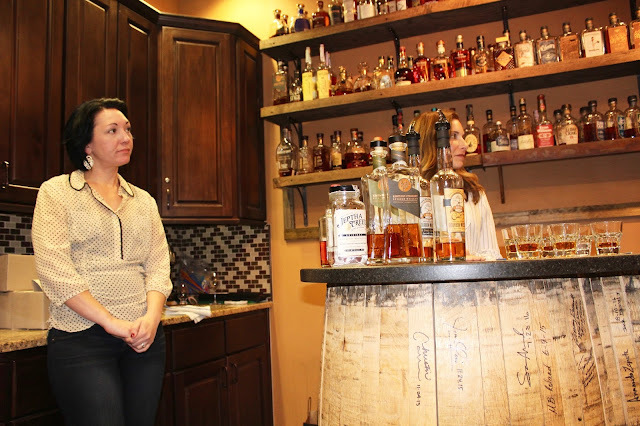 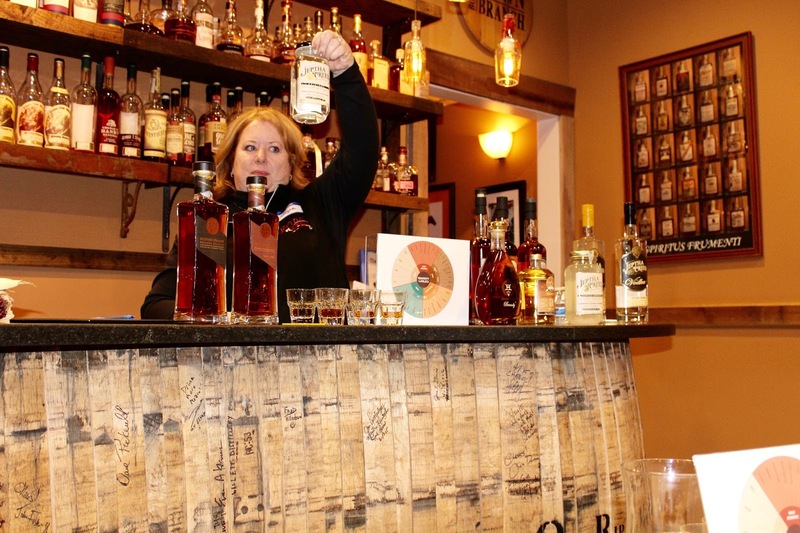 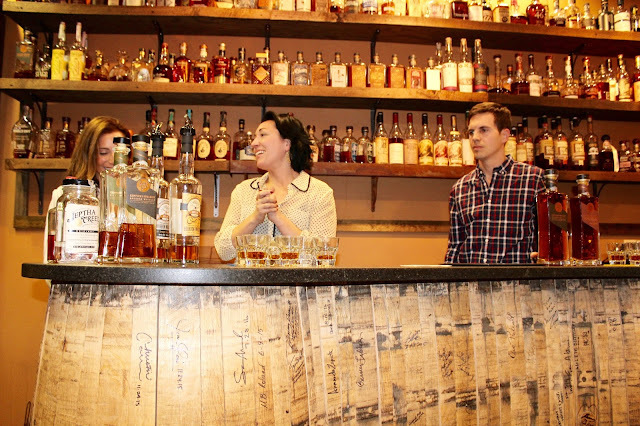 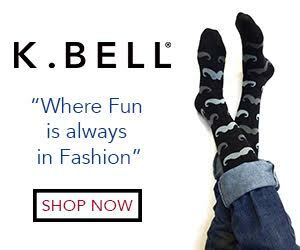 It allows women to explore whiskey and visit new places that they may not have experienced.